Part III of our Photobook Gift Guide -- read parts I, II and IV. Check back tomorrow for Part IV. For more ideas check out last year's guide, which includes some classic books that have been reprinted and a few others still in stock. Winner of the PhotoLucida book prize, Medic by Jennifer B Hudson was inspired during her own struggle with illness and pain when she was told "I wish there was a machine that could take the pain from your body and put it into mine." 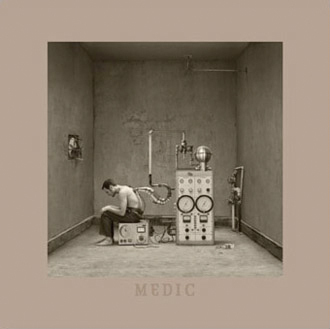 Medic combines the fantastic with the very real, pairing photographs of people interacting with strange contraptions with handwritten and typed accounts from people who have cared for loved ones during illness. While Hudson's carefully constructed and meticulously built scenes provide visually metaphoric expressions of illness and recovery, the texts fill in the emotional and personal gaps, making the book an intimate document of the difficult experiences that bind us and the love, helplessness and power that can come from them. Japanese photographer Manabu Miyazaki has spent decades capturing wildlife on film. Years of experimentation and design pair with keen observation of his subjects lead Miyazaki to carefully set up his cameras in the forest on trails used by both people and animals, the shutter to be triggered by the animals themselves. 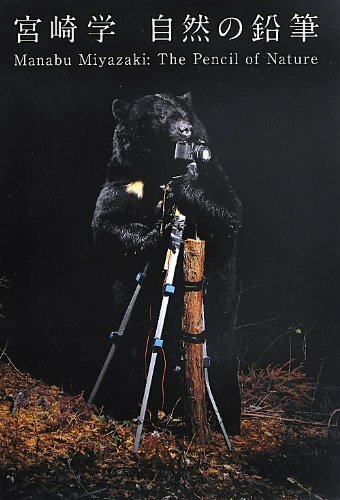 Miyazaki's results are breathtaking; perhaps no image sums up his effort better than the astonishing cover image of a black bear holding onto a tripod and gnawing on the camera. While none of the images in The Pencil of Nature rival the sheer spectacle of the cover image, Miyazaki's photographs are stunning regardless, presenting beautiful, surprising and often intimate portraits of Japan's wildlife. Taking it's name from the first commercial photobook ever published, The Pencil of Nature explores Miyazaki's techniques and the history of his image making as well as presenting a series of images made by wildlife, giving due to the precise hand that set up the frame. 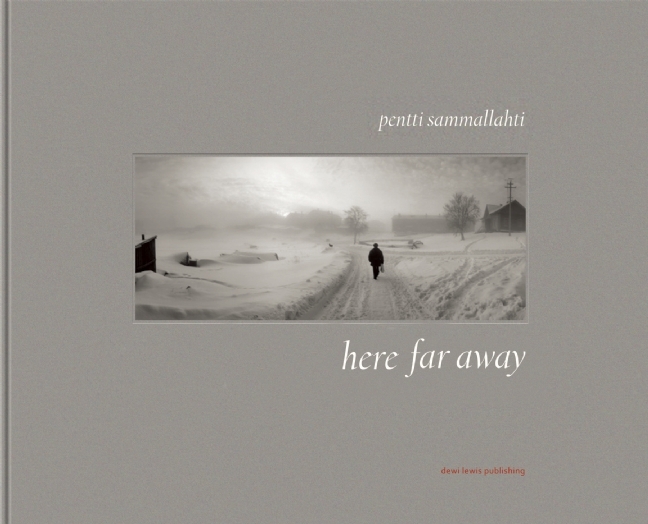 Now in it's second printing, Here Far Away is a long-awaited book from Finnish photographer Pentti Sammallahti. Featuring images from 40 years of his prolific career, the book collects images of Sammallahti's simple yet poetic view of the world in his observations of humans and animals. His stunning black & white photographs are often both touching and humorous, perfectly capturing subtle moments of beauty that pass in an instant; moments that make the world feel oddly magical. The book even features an image made by Sammallahti at 14, and includes photographs from his endless travels around the world. 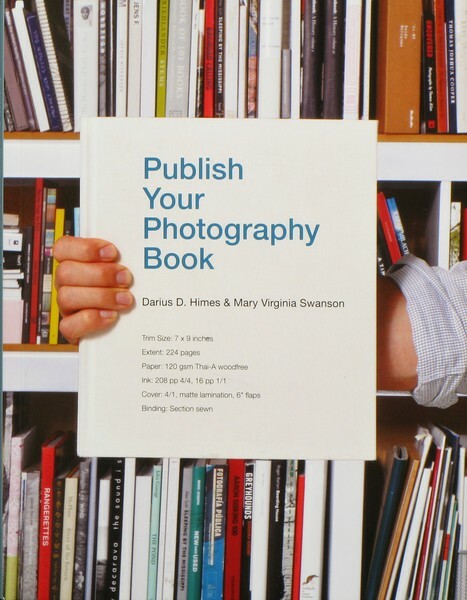 Publish Your Photography Book is an essential text for any photographer considering entering the world of publishing. Guiding the reader through the entire process and filled with advice from a range of experts, it is sure to be a well-received resource for anyone approaching the photobook publishing endeavor. 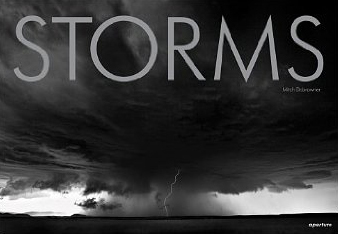 Mitch Dobrowner's astonishing black & white images of storms are presented in his new monograph from Aperture. Dobrowner began working with storm chasers in 2009 and since then has covered thousands of miles through the Western and Midwestern parts of the United States in pursuit of lighting, tornados and staggering cloud formations to capture with his camera. Dobrowner's images have received wide attention and have been featured in National Geographic, Time, New York Times Magazine and numerous online publications. This large format edition brings together 50 of Dobrowner's unforgettable images of the destructive beauty and the overwhelming power of nature. Prefer a gift certificate? Purchase one in any amount here.